REACH (Recreation, Education, Arts and Culture in Hueneme) is a nonprofit dedicated to supporting the City of Port Hueneme. 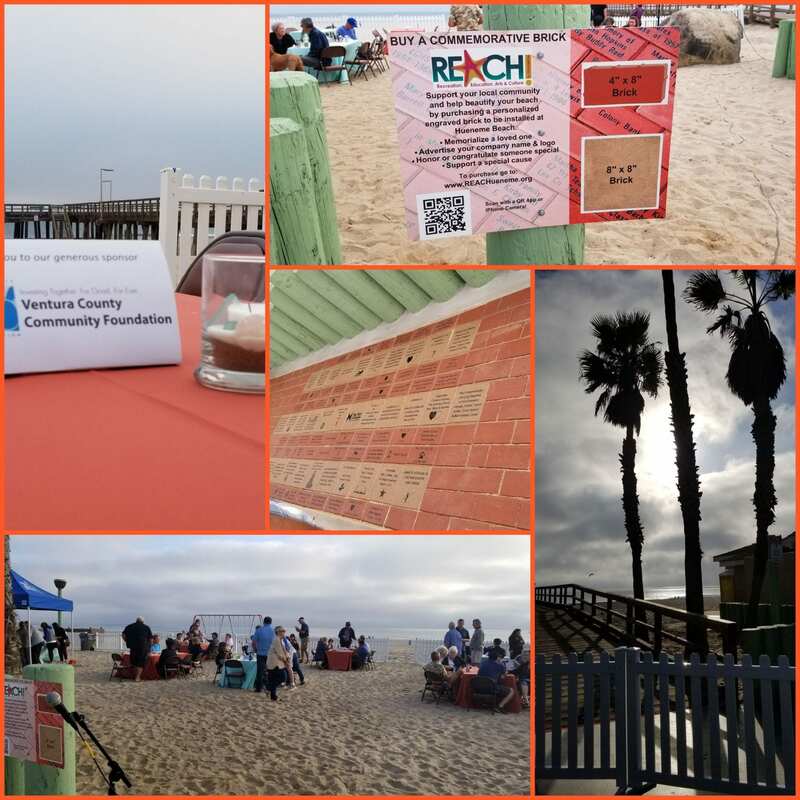 Established in 2015, REACH is a community-governed organization dedicated to raising money to help support costs of all the wonderful events hosted by the city. We are so delighted to be sponsoring one of REACH’s fundraising effort—their Brick Campaign. REACH is selling customizable commemorative bricks to be laid next to the Hueneme Pier. Bricks can be bought to honor loved ones, pets, and families, or to promote businesses or to just show your support to the community. All the funds raised by REACH go to support recreational, cultural and educational activities in Port Hueneme. Their support allows the city to host events such as Food Truck Tuesdays, Movies in the Park, Cops for Tots, the Holiday Tree Lighting and much more. We are so proud and thankful to be able to support REACH and all they do for the community.